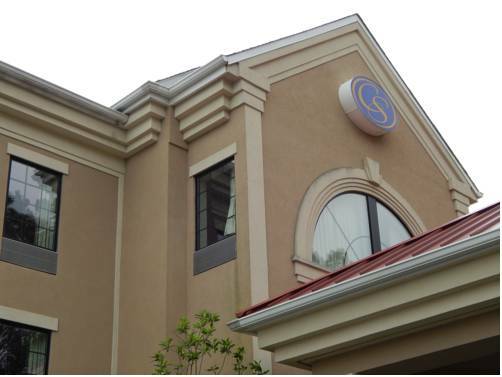 Get more of the space you need to spread out, relax or work at the smoke-free, pet-friendly Comfort Suites hotel in Ocean City, MD. Nearby destinations include Ocean City Boardwalk, Ocean City Municipal Airport, Roland E. Powell Convention Center, Baha Amusement Park and Ocean City Fishing Center. Take advantage of amenities like free WiFi, free weekday newspaper, fitness center and a game room. Spacious suites include HDTV, microwave, refrigerator, desk, safe and coffee maker. Also, earn rewards including free nights and gift cards with our Choice Privileges Rewards program. Must have 1 adult 21 years or older in each room. Pet Accommodation: 35.00 per night per pet in designated rooms. Pets must not be left unattended. Hotel was completely renovated in May 2014. - Ocean City Life-Saving Mus. - Roland E. Powell Convt. Ctr.